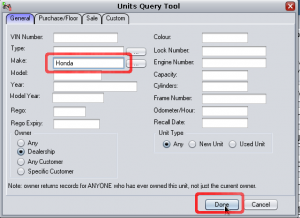 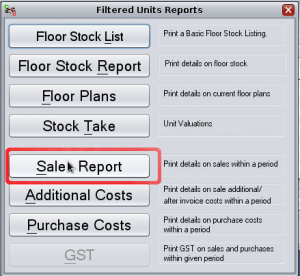 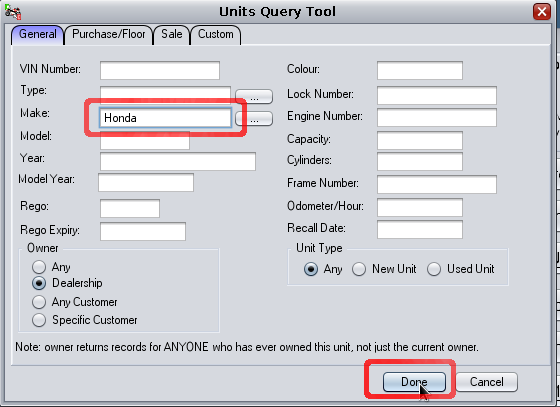 Normally the unit profit report displays profitability on all units sold in a period (grouped by make and whether it is a new/used unit). 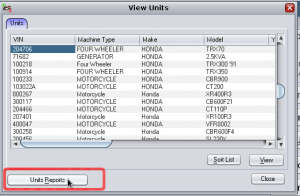 From main menu, select units then select browser. 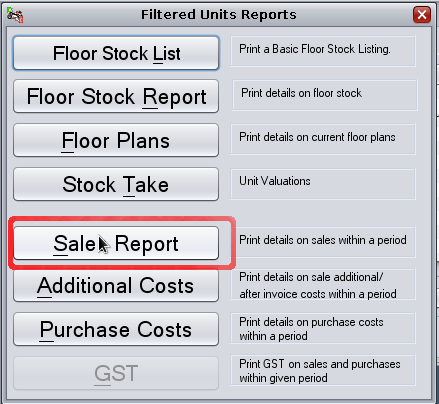 Select report period and run the report. 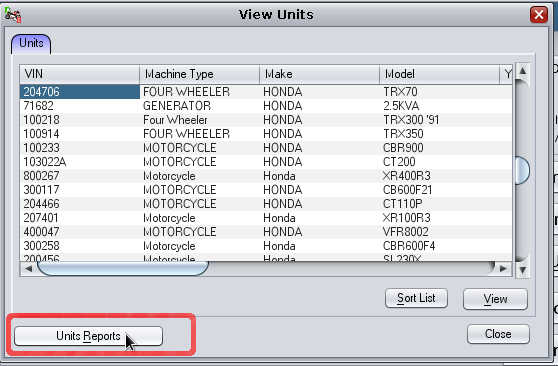 Only Honda units will appear.